As an important chapter of her life soon comes to a close, Deborah McBain reflects on her time as a midwife and nurse. 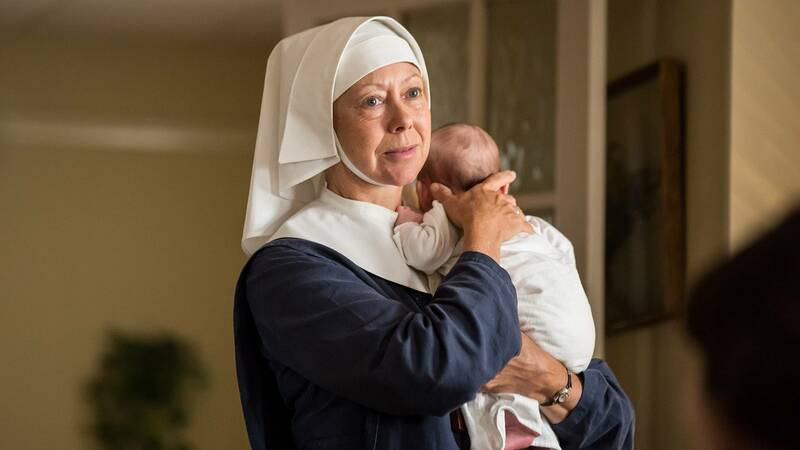 This season’s Call the Midwife has eerily mimicked my own life. Life and the world have intruded on the midwives in 1961 Poplar as 2016 life has intruded on my midwifery career. During this episode, the somewhat offended Phyllis Crane tells the retired Dr. Godfrey that she will consider retirement if and when she reaches the appropriate age. Ha. What is the appropriate age of retirement? That answer is different for everyone but after the birth of my grandchild last November, I decided the time was imminent. And after my father suffered a stroke in February, I knew I had made the right choice. So now I find myself entering the final month of my 43-year nursing career including 20 years of midwifery practice. The stories I could tell. For now, I offer a poem I wrote inspired by the strength and bravery of the women I have labored with. Oh yes, you may be silent. Oh yes, you may moan. Oh yes, you may cry. Oh yes, you may scream. Oh yes, you may lose it. At last, you will laugh. Thank you to all the amazing women I have had the honor to care for and to work with. Below is a photo of my granddaughter, my father and myself during a visit in the hospital after his stroke. The full-time care of my family is now where my heart lies and I am also hoping for some time to travel. The women at Nonnatus House would understand. Perhaps Nurse Crane will loan me her roof rack.